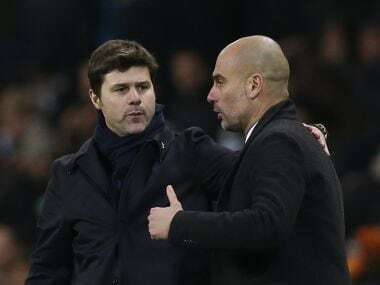 London: Pep Guardiola has indicated pursuing a Premier League record points total may be the best way to keep his Manchester City players focused over the final five matches of the season. 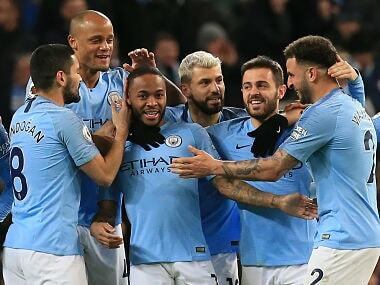 City are at home to Swansea on Sunday, having secured Guardiola's first English league title last weekend, as they won at Tottenham Hotspur and closest challengers Manchester United suffered a shock defeat at home to bottom-of-the-table West Bromwich Albion. The manager, though, is concerned his squad's performance levels will drop, now that they effectively have only pride left to play for this term. That is why he feels that chasing Chelsea's Premier League record of 95 points in a season, set in 2004/05, is a useful target for City, who are currently on 87. "In the past, I have won the league at Barcelona and Bayern Munich with five, six, seven games to go, and the remaining games were not good," Guardiola said Friday. "We tried to tell the players, 'Come on, keep going', but we were not able to keep going. In his first season there, 2013/14, they became the first club ever to win the Bundesliga as early as March, dropping just two points in their first 27 matches, then lost two of their next three. Even in Guardiola's opening season at Barcelona, in 2008/09, they rather stumbled to the title, failing to win any of their final four matches, and relying on a Real Madrid defeat to hand them the trophy. At least Barcelona and Bayern, at that time, had the excuse of being distracted by the Champions League, something City do not have to worry about after being eliminated in the quarter-finals by English rivals Liverpool earlier this month. 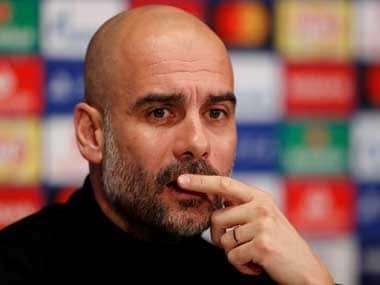 Guardiola has suggested that, because his players have achieved everything they can for this season, the next five matches will be a test of their professionalism. It seems inconceivable he will allow them to get away with any slacking. City certainly owe it to the Premier League to give it their best over the next few weeks, as all of their remaining games are against clubs who are still in danger of being relegated. They are also keen to avoid embarrassment against a Swansea side who, for all their troubles this season, have beaten Liverpool and Arsenal in the league since Christmas. 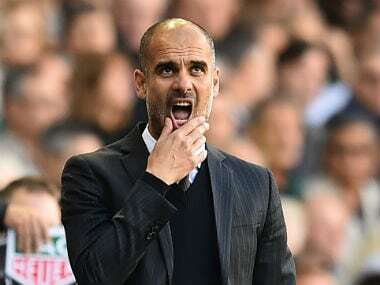 Guardiola is fully aware of that, and his words this week suggest he will certainly play his strongest possible side against Welsh club Swansea, and will continue to do so as long as the teams he faces are still threatened by the drop to the Championship. It means promising young players such as Phil Foden, the midfielder who helped England win the Under-17 World Cup last October, are likely to have to wait for the opportunity to gain Premier League experience. It would be little surprise, in fact, if Guardiola went with the same starting line-up that was so convincing in defeating Tottenham 3-1 at Wembley last weekend. Asked if Foden might play against Swansea, Guardiola replied: "I don’t know. We are going to try to play with the best team possible."